My grandfather said to me, “… always make the best of your opportunities…”. Today I am going to try and do just that. My name is Marcus Jones. I am the host-producer of the talk show, EVERYONE HAS A STORY and am the self-published author of my autobiography, EVERYONE HAS A STORY…THIS IS MINE. 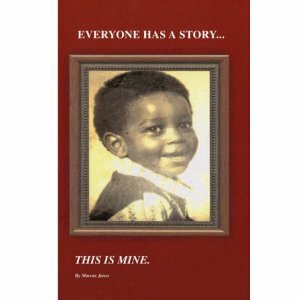 I wrote my autobiography, EVERYONE HAS A STORY…THIS IS MINE, for several reasons. First, for my children. I wanted to let them know that no matter where you come from or whatever disability you have, you still can be successful in this world. Second, I want to share my experiences and knowledge with the youth, to aspire them to stay in school and to change the way they think about the street life so they can better themselves. Third, I want to accomplish something in my life. I have learned many things in my life before my injury but I have learned many more after my injury. I LOVE TELLING MY STORY! Hey Cynthia I’m on here too. I will start back writing on here soon. Marcus, Inspiration, kindness. Love helps more than street life. Yes, I read his book it’s very well done. I highly recommend the purchase, you won’t put down till the last page. Memorable and defining. Mr. Marcus Jones is a very great role model for all generations, and all of GOD’S people. My two daughters and I thank GOD for allowing Mr. Ron Simmons to introduce us to Mr. Marcus Jones, and we thank GOD for giving Mr. Marcus Jones the willingness to allow my two daughters and I to come 800 miles round trip to Chicago, Illinois to tell our story, when all these “SO CALLED” Civil Rights Groups, Leaders and Organizations and U.S Justice Department turned their backs to us as if we meant NOTHING in this country where all of the above mentioned claim to be fighting for: “JUSTICE FOR ALL”!!! THANK YOU AGAIN MR. MARCUS JONES, THEY SHOULD PAY YOU TO GO RE-EDUCATE ALL OF THE ABOVE MENTIONED AS TO THE REAL AND TRUE MEANING OF: “JUSTICE FOR ALL”!!! I’m from Chicago; was raised there since the age of 10 y/o in a community called Lake Meadows. When I returned from college, V.U.U., in Richmond, VA. I lived there for many years before moving to the suburb, Orland Park, IL. I’ve been in Winter Park, FL. for the past 3 years. I fell in love with the weather during a visit. I’ve had a very successful music career. My songs, “Daddy’s Little Girl,” “Save Our Children,” “A Mother’s Love,” and My Safe Harbor have all been successful, continue to sell well, and have a very inspirational story behind them. My song, Save Our Children help create the first Save Our Children Day for a city in the U.S. My goal is to have an annual national Save Our Children Day. You made me think of the inspiration behind my song, “My Safe Harbor.” It’s on YouTube. I was stricken with a brain tumor and began having seizures. It altered my life forever. I am still angry how the Drs. handled my situation and the addictive drugs they put me on. This song has helped others to face their life challenging illness or situation when all seems impossible. I think of all of the others that suffer because of greed and ignorance. I admire you! I’ve appeared on several Chicago TV programs for my music. The Jennie Washington TV Show is one. Do you know her? My band CUPID won 1st place in Chicago’s Battle of The Bands sponsored by the Chicago Park District. We were the band chosen to play for the late Mayor Harold Washington’s Inaugural Ball. The list of my musical achievements goes on and on. I am touched by one woman whom I’ve never met. She was so moved by my song, “My Safe Harbor,” that she created a webpage for the song. Click on the link below. One day when I return I would like to meet with you. I often return annually to present a scholarship in honor of my parents Dr. and Edward and Ann Page-El MD, to an incoming intern for the University of Illinois Hospital where my stepdad was on staff. My stepfather was Director of The Neurology Dept. Mom was an RN. 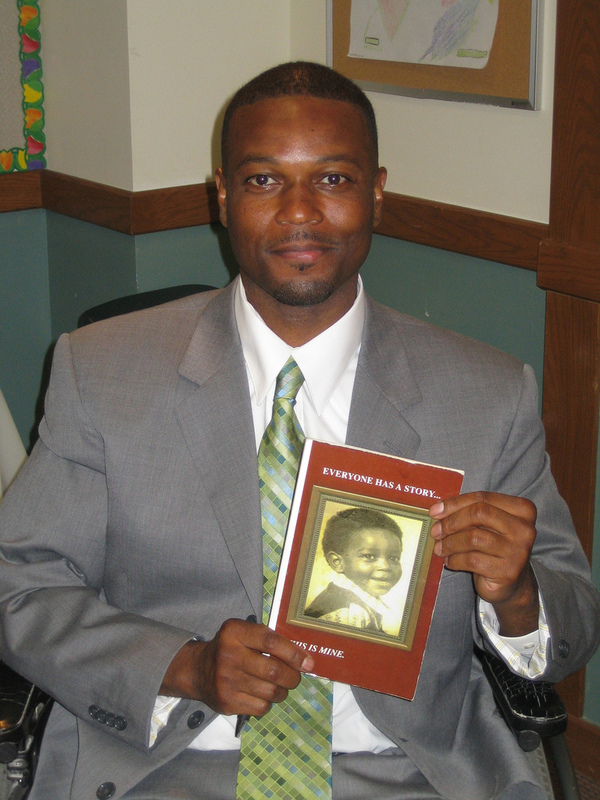 My biological father, Dr. Ben Del Love, Jr passed away when I was 3 y/o. Blacks, back then, only had a couple of options of where to attend medical school. That is why my mom was in the presence of physicians. She wasn’t a gold digger. Lol. I hope to meet you and share my story and how I’ve had to make a comeback among odds unimaginable. Let’s talk one day soon. You’re an inspiration. I sense it from your spirit. Whenever I see and read about someone surviving and facing their seemingly dire situation head on, I am blown away with joy. Keep sharing your love. Peace. I’m just now reading your post. Thank you for reaching out. I apologize for not getting back to you sooner. I have been so, so busy revising my book Everyone has a story, This is mine, with a professional editor. Something I didn’t have before. When I first came out with my book I didn’t know anything about how to be an author. I knew that I would have to correct my book one day but life has many lessons and I was guided by God to be where I’m at right now in my life which is a very good place. My determination to accomplish goals, reach out to other people and organizations helped in building my character and patience. Which I’m very proud of. I’ve accomplish so many things in my life. I knew that if I want to inspire and educate more people I had to correct my book. My goal is to finish revising my book by the beginning of January 2015. I hope you tell everyone you know. I will be having a fund raiser/book signing around the same time. I would like to have met you before then and hopefully come to your annual event. You are an inspiration to me. Let’s continue to uplift and educate the masses. I enjoyed what little I have read thus far. I am happy for you & look forward to reading your entire book. God Bless. Winfred Simon Thank you for reaching out. I do apologize for not getting back to you sooner. I’m also I n the process of revising my book. I’m putting more story and detail. I will let you know when I’m finished and will send you an excerpt of new revised Everyone Has A Story, This Is Mine. God bless.